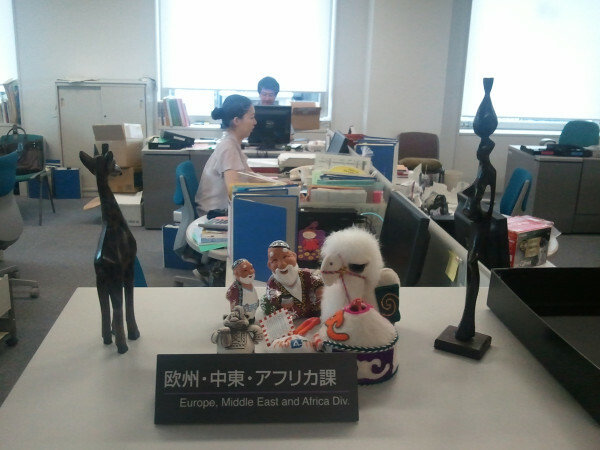 Hi, I’m Yosei, interning at the Japan Foundation, Japanese Studies and Intellectual Exchange Dept., Europe, Middle East and Africa Section in Tokyo. I’m a Doshisha University (in Kyoto) senior student, majoring International Relations. Interning for 2 weeks, I’ve become to know how widely the Japan Foundation works. Then, let me introduce the identity of the Japan Foundation! This is our office, relaxed but working hard!! Basically, the role of the Japan Foundation is to present Japan, and for this aim, the means is Japanese culture. Traditional Culture such as Kabuki and Ukiyoe, also pop culture like comics (Manga) and animation, and modern art and music, Japan has so many attractive cultures. Now, we hold “Hokusai - Retrospective” in Berlin, Germany, and “Manga Realities: Exploring the Art of Japanese Comics Today” in Manila, Philippine. Japanese culture is so attractive that it is very popular among foreigners; I think it has large soft power. Conventional diplomacy is between governments, but public diplomacy to foreign people is also important. The Japan Foundation is the organization covering public diplomacy of Japan. Japanese Studies and Intellectual Exchange Dept. supports foreign researchers studying Japan. Fellows come to the Japan Foundation after they arrive at Japan. New semester begins in September; many fellows came to the Japan Foundation from all over the world these days. I supported orientations for fellows (explanation of scholarship). Officers in the Japan Foundation are very good at English! But, this is so common here. I have to mention that there are specialists of each area. Mr. T, the Russian specialist in our office, talked with Uzbek fellow in Russian! And Mr.S, the Middle East specialist in our office, talked with an Egyptian fellow in Arabic! Research topics of fellows are various, like Japanese politics, economy, literature, music, and so on, so the Japan Foundation supports wide range of Japanese study. These two things are ordinary international exchange, to make foreigners know Japan, but there is the new type of international exchange. On September 6th, we held the international symposium, “Designing Eco-Systems for Social Innovation” with British Council (our counterpart of Britain). It was the discussion of social presence of corporations and social innovation, gathering social entrepreneurs from Asian countries, businessmen of Japanese corporations, NPOs, researchers. The point is that the Japan Foundation helped to create the network of Asian social entrepreneurs, using Japanese knowledge and experience to resolve problems, and promote international intellectual exchange. This is the indirect way of international exchange. Ordinary international exchange is to make foreigners to know Japan and to understand other countries, but the new type of that is to resolve global issues using one country’s knowledge. The Japan Foundation supports international exchange in many ways. Today is the final day of my intern; it’s so fast two weeks. I’ve done works one after another, I gradually found out the thing that the Japan Foundation respects. The means of international exchange are culture or knowledge, but each person takes part in them. The ground for international society is the connection of people, in these days of globalization. I want to introduce the work I engaged in, that I think I could connect people internationally. Iranian fellow published the book of poems (haiku), praying for victims of the Great East Japan Earthquake. 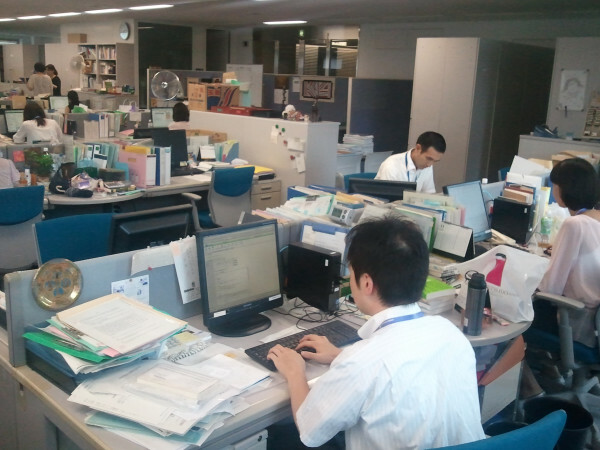 It was reported by the media, so there are many Japanese people called to office, said they want to get one. This intern has become really precious experience for me. 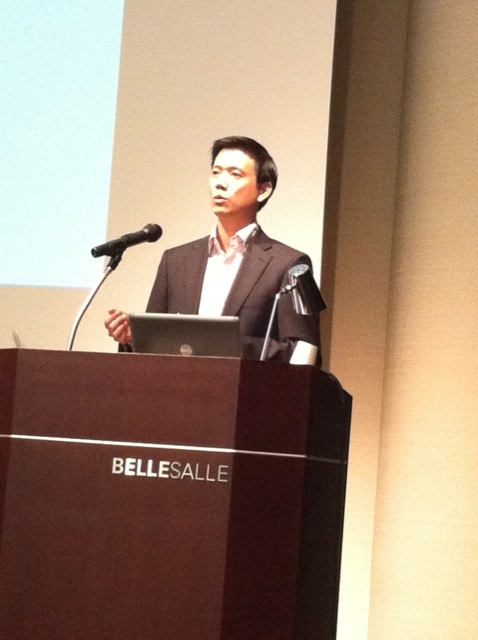 I could work with various departments, and know many works the Japan Foundation is doing. By the way, the writer of this blog on September 2nd, Miki, is the friend when we studied abroad in California last year. It was really coincidence that studying abroad and interning at the same time, in the same place! I recommend you to intern in the Japan Foundation! I really appreciate the Japan Foundation, our team members, and all officers for your kindness during my interning.